Dance Plus 3 Winner Name Who Won 2017: After weeks of struggle and competition among dancers’ participants, Star Plus has found the winner of Dance Plus season 3. The Dance+ Grand Finale result has arrived and the episode will air on September 24, 2017, in which the final/top four contestants will be featured entertaining the audiences with their brilliant dance performances. The finale episode of Dance Plus 3 has already been shot. It will be aired on Sunday night. The top 4 competitors are Bir Radha Sherpa, Tarun-Shivani, Amardeep Singh, and Aryan Patra. The D+3 winner name will be announced officially on 24th September. But, as the finale has been shot, the champions of this season is found. Read below to check out who is he and from which team? He is none other than 18-year-old Bir Radha Sherpa. The runner-up is Amardeep Singh Natt. Aryan Patel and Tarun-Shivani were declared as the second and third runner-up respectively. Bir won Rs. 25 lakh as the cash prize and along with it, he got a brand new car. 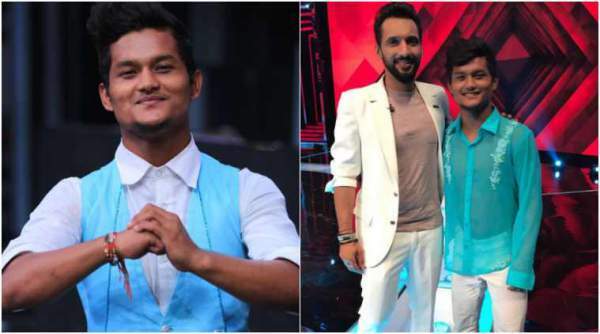 Three contestants were from Team Dharmesh while the remaining one was from the Team Punit in the Dance Plus 3 grand finale. Varun Dhawan came to promote his upcoming movie Judwaa 2 with his co-stars Jacqueline Fernandez and Tapsee Pannu. On the finale stage, three of them created the re-magic of Oonchi Hai Building 2.0 and Chalti Hai Kya 9 Se 12. Varun, also, met his ABCD 2 team Punit Pathak, Dharmesh, Raghav Juyal, and Remo D’Souza. With Varun, Remo announced ABCD 3 on the stage. The DancePlus 3 finale episode was a hit on the whole. But, TV viewers will be able to catch it up only on the Sunday night, 24/9/2017. Tapsee Pannu donned a little black dress. Judwaa 2 team enjoyed a lot while shooting for the Dance+3 grand finale. Varun was really enjoying the evening. He even performed some his favorite moves and did a headstand with finalist Bir Sherpa. Bir is a resident of Silchar. He has consistently stunned the judges and audiences with his kind mix of b-boying and contemporary style dancing. His excellent dance performances impressed everyone. The other finalists were as great. Bir had participated in the Dance India Dance. Related: Khatron Ke Khiladi 8 Winner. DP3 started in July 2017 and received love and appreciation for its sheer talent and entertainment quotient. Super dancer Prabhudeva came as the special guest. Who were you hoping to be the dance plus 3 winner? Let’s know in comments.